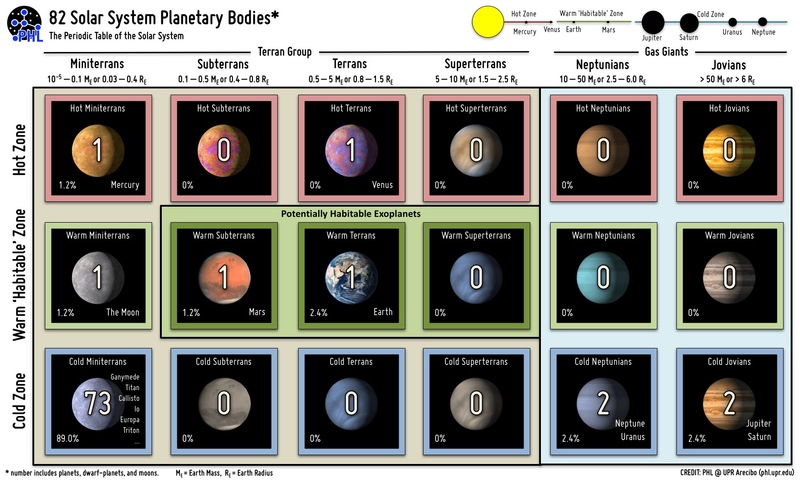 The Planetary Habitability Laboratory has made up some periodic tables of all of the confirmed and suspected exoplanets so far, plus planetary bodies in our own solar system. The PHL is in a great location for this kind of thing, being near one of the world’s most important celestial observatories, the Arecibo Telescope. The exoplanets are far away, of course, and so we know little about them other than their sizes and distances from their stars. It’s with these two attributes that PHL is able to sort the exoplanets. 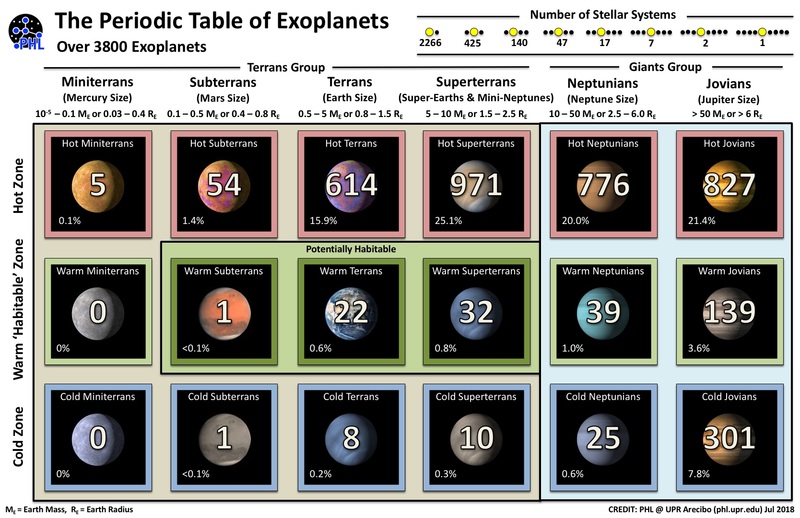 Each table’s column, or Y axis, contains the exoplanets of a particular size, going from the smallest — miniterrans — at the left, to the largest — Jovians — at the right. Miniterrans — are probably spherical and with low mass and no atmospoheres, like Mercury and our own moon. Subterrans — are roughly the size of Mars. Terrans — are about the size of Earth and Venus. Superterrans — are bigger than us but not quite Neptunian. Neptunians — are equivalent to Neptune and Uranus. Jovians — are as big as Jupiter and Saturn or bigger. Hot Zone exoplanets — are too close to their suns and too hot to have liquid water. Warm “Habitable” Zone exoplanets — are in the sweet spot for life as we know it, with a capacity for liquid water. Cold Zone exoplanets — are too far from their suns, and too cold, for anything but frozen ice. There are 3,700 of these as of November 15, 2017. 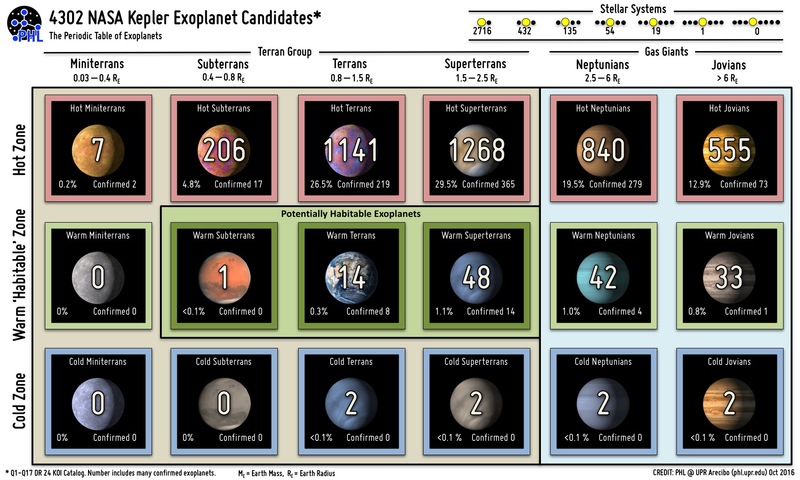 NASA’s Kepler observatory has spotted 4,303 possible exoplanets so far. These counts are accurate as of November 15, 2017. Some of the candidates will probably be confirmed and others ruled out in time. 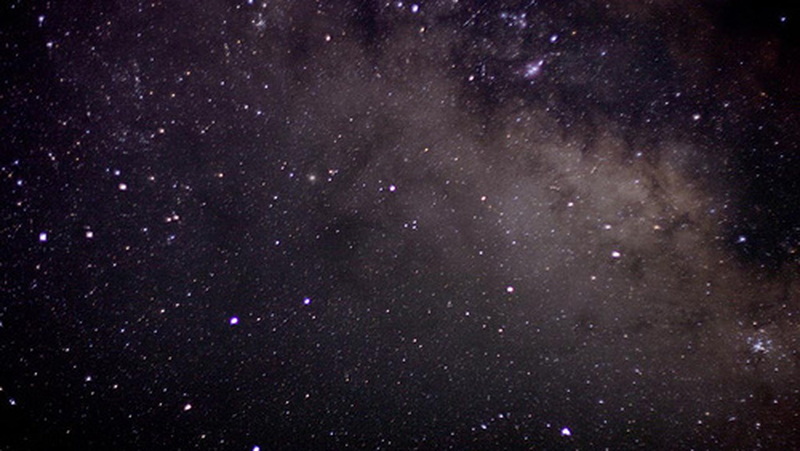 Many more will no doubt be found eventually out there in this vast, vast universe that's probably teeming with life. At least these bodies are places that life could be.